A U.S. District Court Judge has blocked Aetna's acquisition of rival insurer Humana Inc. Judge John D. Bates of the D.C. Circuit held that the $34 billion deal woud stifle competition and violate federal antitrust laws. It was the last major antitrust case brought by the Obama Justice Department. Still pending is a challenge to Aetna's takeover of Cigna Corp. A ruling in that case is expected any day. “Today’s decision is a victory for American consumers – especially seniors and working families and individuals,” said Deputy Assistant Attorney General Brent Snyder, who is currently heading the Justice Department’s Antitrust Division. “Competition spurs health insurers to offer higher quality and more affordable health insurance to seniors who choose Medicare Advantage plans and to low-income families and individuals who purchase insurance from public exchanges." Snyder said the merger "would have stifled competition and led to higher prices and lower quality health insurance." He said the ruling would "save customers and taxpayers up to $500 million per year" based on evidence entered in court showing that direct competition between Aetna and Humana led the companies to offer more generous benefits at lower prices. 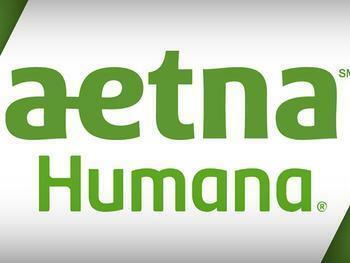 "Aetna attempted to buy a formidable rival, Humana, instead of competing independently to win customers," Snyder said. "Millions of consumers have benefited from competition between Aetna and Humana, and will continue to benefit because of today’s decision to block this merger." The decision followed a 13-day trial in December 2016. In July 2016, the Justice Department along with eight states and the District of Columbia sued to stop the merger. The complaint alleged that a combined Aetna and Humana would substantially reduce competition for the sale of Medicare Advantage – a form of Medicare coverage provided by private insurers –and health insurance to individuals through the public exchanges. Joining the Justice Department in the lawsuit were the District of Columbia and the States of Delaware, Florida, Georgia, Illinois, Iowa, Ohio, Pennsylvania and Virginia.